Tofu, the pale white in colour block is made from curdled soybeans. Soy is definitely one of the most controversial foods in the world. Some people consider this as a superfood, others don’t even think of this as food and consider it harmful to the body. Where do I stand in? Well coming from an Asian upbringing, I’ve been eating tofu pretty much my whole life and I’ve only heard and experienced the wonderful health benefits. My parents’ friends run a soybean business and their daughters drink and eat soybean on a daily basis. They have amazing complexion. Besides consuming tofu, my grandmother would use tofu as a facemask to nourish her skin, which help to slow down the ageing process. So I’m definitely FOR tofu. Ladies if you want, smooth and youthful complexion, consume tofu. There’s a reason why Asian women look a lot younger. The calcium and B vitamins in tofu also help to reduce irritability during menstruation and reduce hot flashes for those would have hit their menopause. If you’ve tried tofu and found it bland and uninteresting, don’t worry, you’re not alone. The truth is, it is rather tasteless on its own, but that’s the beauty because you can do ANYTHING with it. Just think of it like a sponge, it takes on the flavor of whatever you cook it with. There are many different types of tofu, but let’s get to know the most common ones. The most delicate of your tofu types, which makes it not suitable for cooking. You might also come across soft tofu. To keep things less confusing, soft tofu is slightly less smooth, has a slightly ticker texture but can be used in the same way as Silken Tofu. 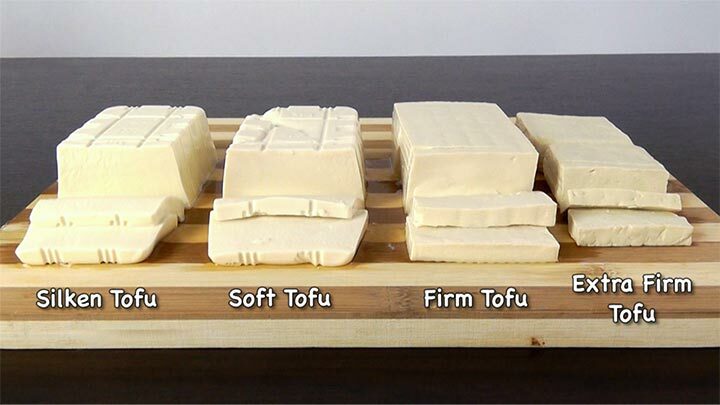 Firm tofu is most commonly used in cooking. It absorbs flavours well, can be stir-fried, pan-fried, simmered and braised. It makes a great substitute for ricotta cheese and egg in cooking. is excellent for all kinds of frying, grilling or baking. Just think of this as a meat substitute, and in fact Vegetarian Chinese restaurants tend to use it to create fake meats in their cooking. 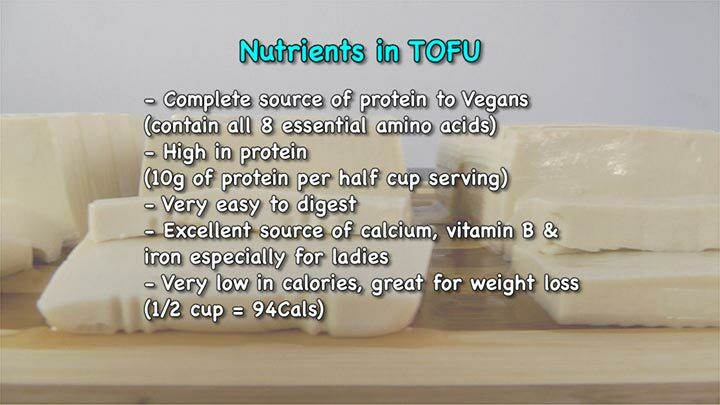 The more dense a tofu is, the higher protein content it’ll have, and also higher in calories. As you start to try different types of tofu, you might find that you might only like one or two types. For instance, my favourite is silken or soft tofu. I do not like extra firm tofu at all. I’m gonna show you 4 creative ways you can use tofu to pretty much make anything; such as healthy snacks, desserts, sauces, smoothies, lunch, breakfast and the recipes are endless. It is great to be added into smoothie. 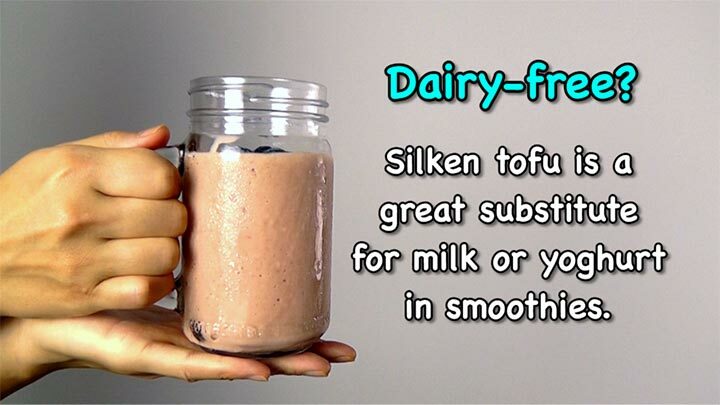 If you are on a dairy-free diet, silken tofu is an excellent substitute for milk or yogurt in a smoothie. The creamy texture will thicken the smoothie as well. 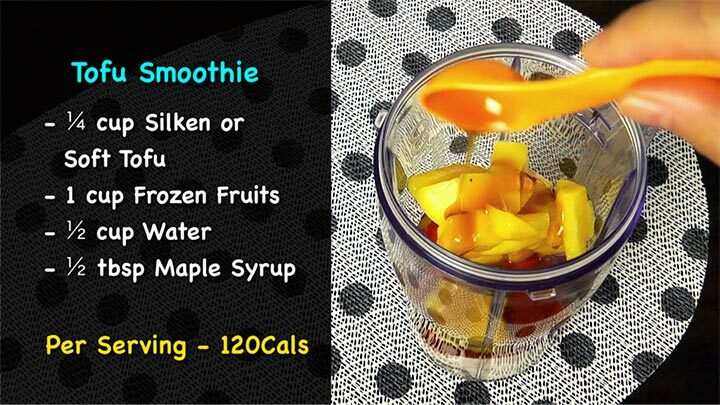 This thick, creamy and satisfying smoothie is only 120Calories. Have you been dreaming of a guilt-free dessert? Well silken tofu is your answer! It can be used to replace cream in most cream-based desserts such as cakes, pudding, mousse and even soups. It will seriously slash the calories by more than half. 1) Blend all the ingredients in a food processor. 2)Pour into 3 dessert bowls and chill in the fridge for 1 – 2 hours or until slightly firm. 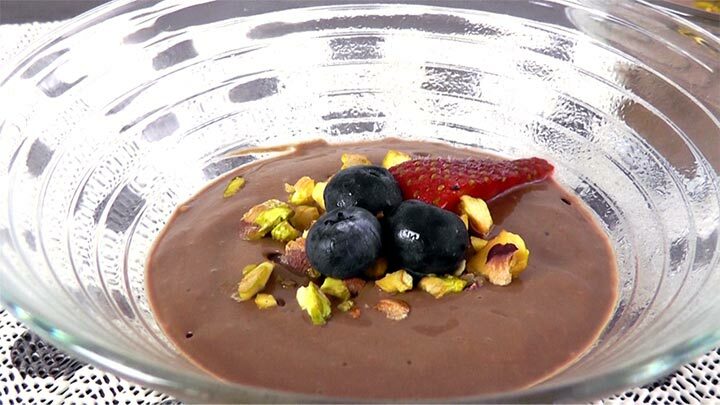 3) Topped Healthy Chocolate Mousse dessert with some strawberries, blueberries and also chopped pistachios. This dessert tastes just as good, if not even better than the traditional Chocolate Mousse recipe, which calls for a lot of heavy cream. 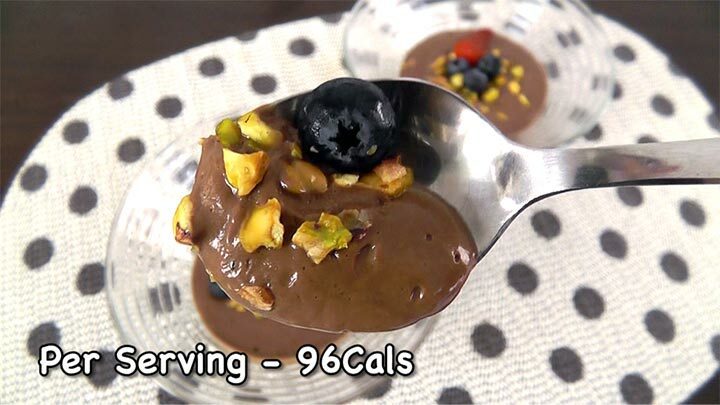 One serving of Chocolate Mousse made with tofu only has 96Cals VS 300Cals using the traditional recipe. Now that’s saving 200Cals. That’s a lot especially if you are watching your waistline. 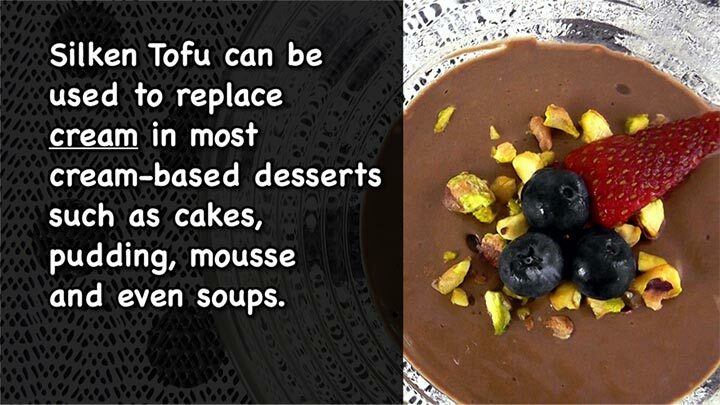 So if you like want to indulge in desserts, of course you can, just make them healthier by opting for silken tofu. 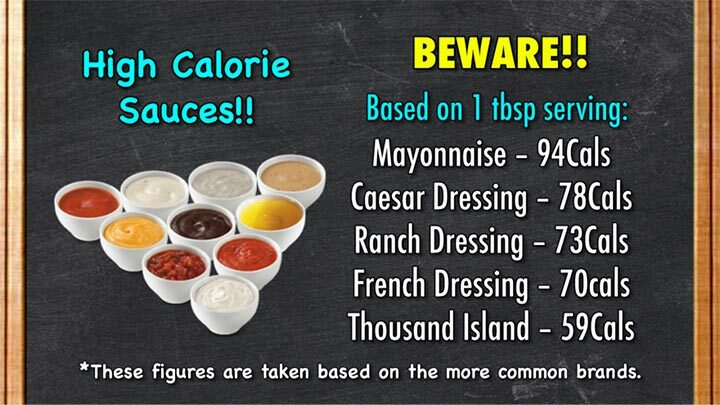 Another calorie buster is sauces, dips or dressings. Sometimes, you might have a good intention to eat well, but without realizing you’re packing on hidden calories from salad dressings or dips. Here are some examples of high calorie dressings. It’s absolutely shocking. Basically the word “creamy” means high calorie salad dressing. I like to have dressings or dips to go along with my meals. What you can do, is opt for silken tofu to substitute the ‘cream’ in recipes. 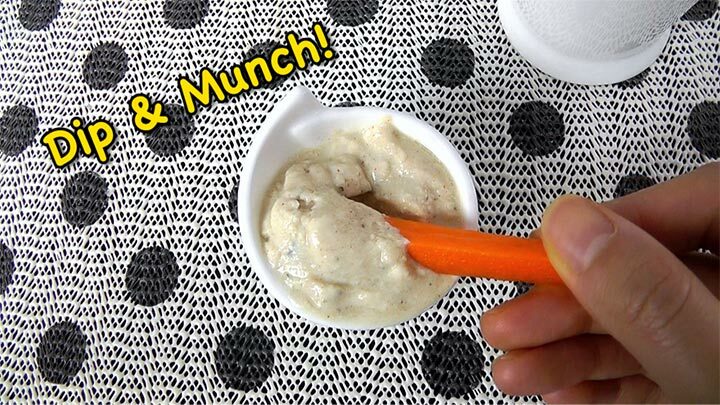 I’m going to show you how to make a healthy Ranch Dressing with only 10Calories per tablespoon. Not 73 Calories but 10 Cals. Step: Puree all the ingredients in a food processor until you get a smooth and consistent texture. So you’re still getting the creaminess of a dressing from the silken tofu infused with all the herbs and spices. Dip and much away. This taste so good without the extra calories! You got to try it. And finally, what can we do with firm or extra firm tofu? Easy, just think of it as replacing eggs or meat in recipes. 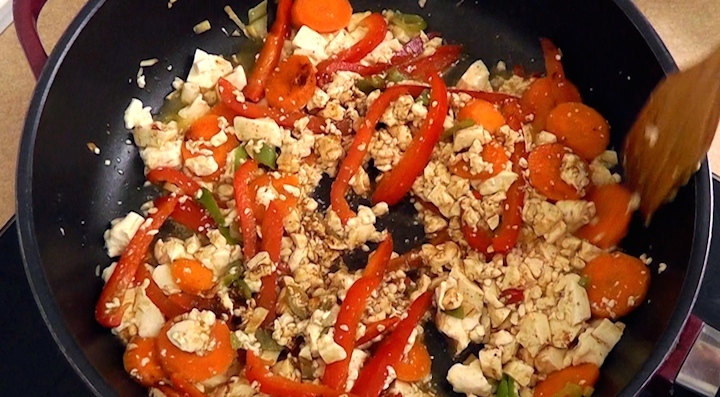 I’m going to show you a really quick Stir-Fried Tofu Scramble, which can be eaten for breakfast, lunch or dinner. It is so simple. This recipe calls for only 3 elements. Seasoning, this is to add flavours into the dish. 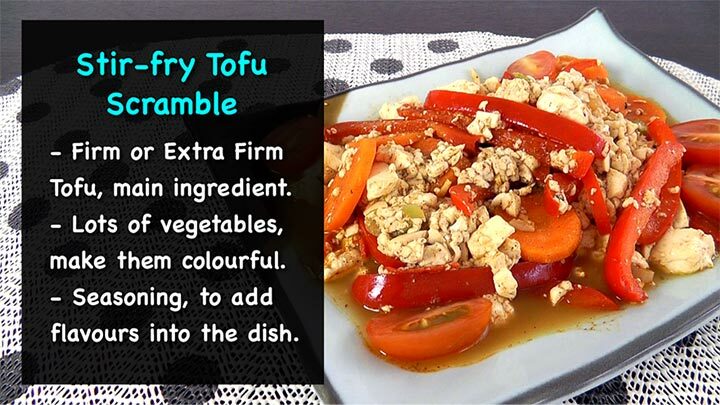 I’ve lightly stir-fry ½ block of firm tofu crumble with garlic, spring onion, chilli, bell pepper, carrots and cherry tomatoes, seasoned with turmeric, ground cumin, smoked paprika and salt & pepper. It only takes 2 to 5 minutes to cook the tofu, depending on how brown you want it to be. 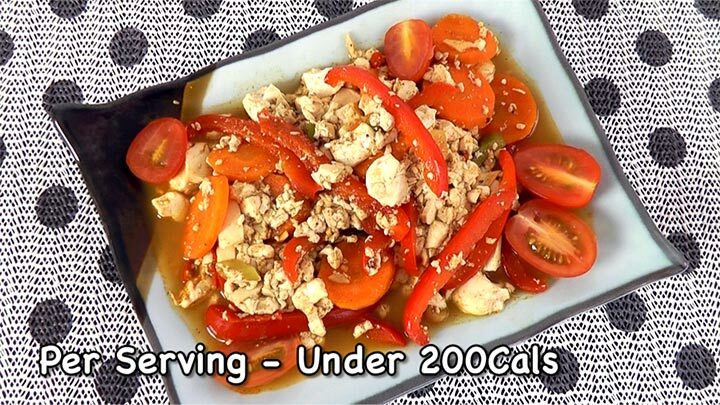 This is such a big serving, for less than 200 calories! You can choose to have it on its own, or add it into tortilla, pita wrap, top in on sandwich, serve it with a side of rice or noodles. The options are endless. I’m only scratching the surface of what you can do with tofu. But I hope this video will make you want to try tofu and to incorporate this superfood into your recipes.